[0:01] <shiftplusone> djshotglass, you're asking where to get them or recommendations for which to get? [0:01] <Daniel00> so is it, or is it no possible to run windows on a raspberry pi? [0:01] <shiftplusone> Daniel00, Short answer, no. [0:02] <Phosie> I haven't used Windows in about a year. [0:03] <shiftplusone> djshotglass, It will depend on what you need them for. I suggest you search farnell/newark/element14 for what's available then go through datasheets to find what suits you. [0:03] <Phosie> I'm sure they have a desktop or a laptop for that, just remember what performance the Pi has. [0:03] <shiftplusone> Daniel00, it's a different CPU, x86 programs would not run anyway, even if something like windows CE would run on a pi. [0:05] <shiftplusone> You can use qemu to emulate an x86 system and runs windows if you like, but it won't be usable for anything and you're not going to get any help setting that up. [0:06] <ptl> Daniel00: I think you mistake the scope of the device. It's meant to be hacked, disassembled, reassembled, tinkered with. Windows is the opposite of that, you can't possible run Windows in a device that's unsupported by Microsoft, or even if you can, you will have lots of difficulties and will always lack the source code for stuff. [0:06] <Phosie> I wonder if it's possible to use a 360 controller as an input for my stepper motor. [0:06] <shiftplusone> Don't think the pi is meant to be diassembled, but yeah the jist of it is right. [0:07] <pksato> Phosie: 360 controller? mean a encoder? [0:07] <SpeedEvil> Yeah, it's so open you even have a datasheet that's a whole 3 pages. [0:07] <Phosie> pksato: Xbox 360 controller. [0:08] <pksato> Phosie: these are have support on Linux? [0:08] <Phosie> They work with Linux. [0:09] <Phosie> I use one on Ubuntu, haven't tried it with a pi. [0:09] <plugwash> for the beagleboard iirc) but I don't think anyone is working on it. [0:09] <Bushmills> hehe "my mouse doesn't move at all" "patience - you didn't wait long enough"
[0:10] <shiftplusone> SpeedEvil, Between the reverse engineered documentation, the schematics, ARM programmer's manuals, the BCM peripherals documentation and everything else that's out there, that's more documentation than 99% of the pi users would ever use. [0:10] <pksato> Phosie: can be work on rpi. [0:10] <shiftplusone> One of the redmond folks on the forum did say he'll see what he can do, but I don't think anything ever came from that. [0:11] <Phosie> pksato: Do you have any idea how? I know they can be used with Raspbmc, but I don't know how to interface it with Python and GPIO. [0:11] <Phosie> Probably more effort than it's worth. [0:11] <SpeedEvil> shiftplusone: Fair point - it's deply annoying for some usecases though. [0:12] <SpeedEvil> shiftplusone: For example, if you want to use another camera. Or two cameras. [0:12] <pksato> Phosie: controler use bluetooth. [0:12] <Phosie> pksato: The wired one doesn't. [0:12] <Phosie> It seems to much work, I'm not going to bother. Thanks anyway. [0:13] <pksato> wired? Xbox have a wired controler? Its is retro. [0:14] <plugwash> The xbox 360 has both wired and wireless controllers available. Which one you get in the box depends on what model you buy. [0:15] <pksato> ah.. wired to controller receiver. [0:16] <Phosie> Hmm,nothing I didn't already know. I'll have to look up how to take gamepad inputs with python. [0:16] <wolfram74> also, why might geany give me the error "cannot open display"? [0:18] <pksato> wolfram74: you is on non display exported shell. [0:18] <shiftplusone> for software, yeah. [0:19] <shiftplusone> I thought you meant hardware projects, my mistake. [0:19] <pksato> sudo or su can not export display as default. [0:24] <Phosie> JaceP: I have. [0:24] <shiftplusone> I haven't, but plenty of people have, yeah. [0:25] <Phosie> Terrible webcam, but it worked. [0:26] <JaceP> Phosie: i'm interested in hooking up several (5 to 10) and pulling frames from all of them. low resolution (320x240 or so), 10fps is fine. i'm trying to choose a microcontroller platform. [0:26] <Phosie> I'm out of my depth already. [0:26] <shiftplusone> JaceP, would that be 5 to 10 cams per pi or 1 pi per cam? [0:27] <shiftplusone> I don't see that working out, but don't know for sure. [0:28] <Phosie> Power might be an issue. [0:29] <pksato> and usb hub stack. [0:32] <JaceP> the biggest issue i have is available RAM. i dont need to record the frames, just do a quick analysis on each one. most microcontrollers can't handle the memory usage but the rpi can. i just wonder if it can handle the usb throughput and such. [0:32] <Phosie> You've inspired me to get my webcam set up on my pi again, it's 11:30pm but who needs sleep anyway. [0:48] <Phosie> Starting to get sick of it. [0:49] <shiftplusone> Phosie, just wondering, are you sure you are getting 5v, what class card is it and are you overclocking? [0:50] <shiftplusone> Have you tried different card brands? [0:52] <Phosie> Probably the card, I didn't used to have issues. [0:52] <Phosie> This will be my third reflash in a month or two. [0:53] <ShadowJK> did you use to overclock? [0:54] <Phosie> I did, don't think it was as much though. [0:54] <Phosie> It seems to happen whenever I go to install something, otherwise I'm fine. [0:55] <Phosie> Probably, oh well. [0:55] <Phosie> Sick of spending money on the pi for now, so wont bother buying a new card till it totally craps out on me. [1:31] <plugwash> are embedded distros really all that much faster than a well set up debian system? [1:36] <Burninate> I'm trying to figure out how USB 3.0 backwards compatibility works. Is it possible for a computer-connected USB 3.0 hub with 10 ports to host 10x USB 2.0 devices at 480Mb/s each through the computer's single USB 3.0 5Gb/s jack? Assume an externally powered hub. [1:38] <Burninate> so the high/full/low does *not* get recoded onto the superspeed bus? [1:39] <Burninate> they're using parallel wires for the final hub->computer jump? [1:55] <histo> It has feelings? [1:55] <Phosie> It must do. [2:11] <plugwash> I belive the saynig is "C treats you like a consenting adult, pascal treats you like a naughty child and ada treats you like a criminal"
[2:28] <xbskid> Does anyone have a lead on a water- or weather-resistant case for the pi, that either comes with or can be modified to include a mount for the camera module? [3:38] <DrkCodeman> is the raspberry pi capable of running snes games and sega games? [3:38] <xbskid> SNES, yes. And which Sega console? [3:40] <xbskid> I bet the UDOO or Parallela could handle N64 emulation. [4:15] <Wolfram74> is there a dedicated light for "insufficient power"
[4:25] <Wolfram74> querry: does raspbian ship with root having a password? [4:37] <gxx> Can someone explain why you need to buy codecs? Is this for everyone who wants to use them or for people outside the US? [4:38] <pksato> gxx: to play dvd and watch DVB1. [4:41] <gxx> I'm getting two pi's & wondering if I could setup one as the http server w/ iso & use the other one to diskless boot over lan, is this something that the pi's can support? [4:42] <pksato> lots of people use RPi as webserver, static and dinamic content. [4:42] <pksato> RPi cant boot from network as PXE. [4:43] <gxx> okay thats good, whats the best distro to use with them? [4:44] <pksato> but, rootfs can be remote mounted. [4:48] <xbskid> gxx: You don't have to pay for h.264; that's rolled into the price of the Pi. [4:48] <xbskid> Also, hardware h264 encoder. [4:53] <RedPanda> or opennx client for the pi? [4:53] <gxx> is it going to be just like a live usb stick? or like a more hdd file system? [4:55] <pksato> gxx: more like a live usb stick. [4:56] <gxx> so pretty much if I make any changes then reboot & wont save it? [4:56] <pksato> gxx: RPi dont have a eeprom to store firmware. firmwares are loaded from SD card. [4:57] <RedPanda> guys. a good vnc client for th pi? [4:57] <pksato> all changes are write to sd. [4:58] <JakeSays> RedPanda: are you remoting to or from the pi? [4:59] <Grievre> pksato: Er, where is the bootloader that reads from the SD card stored then? [5:01] <xbskid> Anyone know where I can get a weather-resistant Pi case with a camera mount? [5:02] <pksato> Have a small rom on SoC to load firmware from SD, or other memory device. [5:17] <xbskid> JakeSays: The camera would be wasted. [5:17] <xbskid> Not to mention mounting that pile of crap would be a PITA. [5:19] <pksato> Is not die mask. I dont know if is rewritable. [5:48] <myth> https://github.com/raspberrypi/linux/tree/rpi-3.8.y There is a 3.8 kernel for the raspberry pi. [5:48] <myth> Never knew this. [6:03] <nides80> probably a simple question.. sometimes when I ssh, I type too fast and mispell my username which in turn asks for a password for a user that doesn't exsist... is there an easier way to correct this other then closing the putty window and connecting again? [6:06] <nides80> Milos, never knew there were options right clicking.. thanks. makes it alot easier. [6:23] <shiftplusone> nides80, you can also set the username in the settings so that it only asks for the password. [7:12] <chainey> nerdboy, you mentioned the other day you are using marine batteries for your field equip. are you chargin w/ solar and have u had any need to shield it from the sunlight? [8:41] <Danith> how come GRUB doesn't work with raspberry? [8:41] <Danith> is it because instead of a BIOS it has the GPU start the boot sequence? [8:46] <Danith> are all ARM devices like that? [8:48] <gordonDrogon> there is a uboot for the Pi I think. [8:51] <gordonDrogon> I switch SD cards. Or used to. Don't bother booting anything else now. [8:51] <Danith> what do you use now? [9:07] <gordonDrogon> sorry - had to go & sort the bins out - heard the bin lorry coming down the street - esarly today! [9:07] <gordonDrogon> I use raspbian. [9:09] <gordonDrogon> it's a soggy day here )-: My chickens are unimpressed. [9:14] <nerdboy> Danith: tried gentoo on the pi yet? [9:15] <ShorTie> can you compile gcc in gentoo on a rPi ?? [9:15] <nid0> I still think there's something wrong there for it to take twice as long as normal, are you using like a class 2 sd or something? [9:16] <rikkib> I have two debian boxes I cross compile on. [9:19] <ShorTie> no biggy, nothing on it, revdep-rebuild may not be a friend anymore, lol. [9:20] <Danith> no, doing the config is the best part! [9:21] <rikkib> ShorTie, What are you wanting to do. Cross compile on gentoo for the RPi? [9:30] <Danith> do the GPIO pins work in gentoo? [9:36] <rikkib> 185 upgraded, 0 newly installed, 0 to remove and 2 not upgraded. [9:36] <rikkib> Need to get 256 MB of archives. [9:36] <ShorTie> i've been googling but can't find anything interesting, anyone know of a rc oscillator frequency calculator ?? [9:40] <ShorTie> how big are they ?? [9:41] <ShorTie> so put it in first, pile a bunch of other stuff around it and it's gone, lol. [9:44] <gordonDrogon> I couldn't give away a CRT last time I tried. Had to take it to the tip - where it joined a pallet load of others. [10:05] <Danith> hey isn't that metorer shower thing happening in 30 mins? [10:08] <rikkib> Eventually I started working for myself then that stuff made me money to buy new toys. [10:11] <psiklops> Hi. Why is mplayer not supported by Raspberry Pi ? [10:15] <Danith> specialized hardware, no one has decided to take the task? [10:35] <Tickle> Hello, I recently attached an NFS drive to my Pi and its got a lot of movies in the shared drive. The RPi is loading the NFS folder slowly is this normal? [10:35] <SpeedEvil> 'loading the folder' ? [10:36] <SpeedEvil> gordonDrogon: easy solution. [10:36] <Danith> from the shell? [10:38] <gordonDrogon> actually, prob. won't see them from the UK anyway. [10:38] <SpeedEvil> I'm in Scotland - I basically can't see the stars at this time of year. [10:39] <Danith> see if looking at the directory from the console is faster? [10:47] <gordonDrogon> SpeedEvil, I'm from Scotland - way back.. Now been out of the country for as long a I lived there..
[10:47] * SpeedEvil found his mirror blank. [10:48] * SpeedEvil needs to work out some means of grinding it. [10:48] * SpeedEvil ponders a barrel of pi. [10:56] <SpeedEvil> It wasn't very amusing. [10:56] <gordonDrogon> on a website out of the early 90's too. [11:20] <gordonDrogon> what do you want to do? [11:22] <gordonDrogon> what's stopping you? [11:22] <gordonDrogon> find the cause and rectify it. [11:42] <gordonDrogon> or make a pie. [11:44] <histo> Mine should be in today. First project mame gaming rig. [12:10] <gr8> hi. would a RBP with an external sound card be good for a hifi music listening station? or could there be problems? [12:15] <Bushmills> gr8, yes, works well. [12:16] <linuxstb> gr8: If you can use the HDMI output, you don't even an external sound card. [12:19] <Bushmills> i'm using this device: http://dx.com/p/external-5-1-channel-usb-2-0-sound-card-optical-audio-adapter-black-41289. [12:21] <gr8> the raspberry supports playing HD video as well, right? [12:24] <Jck_true> Where is the decoding taking place? [12:25] <gr8> what about music (FLAC)? [12:38] <daveaway> is that down to the decoding itself? [12:41] <daveaway> still.. havent completed the first tutorial though..
[12:42] <daveaway> i know right? [12:42] <gordonDrogon> why not learn C first? [12:46] <ItsMeLenny> could one get composite output through the io pins? [12:55] <steve_rox> composite thu gpio? [13:01] <ant_thomas> Are the cameras actually available anywhere currently? [13:02] <ant_thomas> backordered with who? [13:11] <BonaC> Okay, now i's working. [13:11] <BonaC> Any ideas if Xbian doesn't support wifi dongles properly? [13:12] <BonaC> Do I need some packages to enable the thing to understand wifi? [13:13] <BonaC> Since Raspbian did understand my dongle straight away, I suppose when Xbian is also Debian based, there should be a way to do it. [13:15] <BonaC> But it seems that it doesn't know what to do with the password I give it. [13:22] <alex285> can you enlighten me please? [13:23] <BonaC> I personally have no clue what you even meant. [13:23] <steve_rox> maybe means a second keyboard? [13:24] <BonaC> Or a mouse. [13:26] <BonaC> Maybe SSH again? [13:27] <BonaC> So you mean languages and keyboard layouts? [13:27] <alex285> and swap input sources with alt+shift etc ..
[13:28] <BonaC> Isn't it just by connecting via SSH and go to the languages? [13:29] <alex285> BonaC, go to the languages? [13:29] <BonaC> Ah, sorry, I forgot you had Raspbian on yours. [13:34] <BonaC> I don't even know if that works, it can be Rasbian still lacks the support for the software mentioned there. [13:38] <steve_rox> still havein fun with wifi? [13:39] <steve_rox> what erm os? [13:39] <BonaC> Ah, you need the version? [13:41] <steve_rox> is there a cmd you can use to conect? [13:42] <BonaC> Hmm, not sure. [13:57] <steve_rox> BonaC ya gone? [14:03] <BonaC> Which is more powerful, Raspi or Athlon 64 3200+? [14:03] <BonaC> I know, but when Raspi gets optimized enough. [14:04] <BonaC> Like Athlon needing a heatsink. [14:04] <BonaC> And Raspi having not enough memory. [14:05] <BonaC> I doubt the 9600 XT I have in it would render even 720p video. [14:13] <BonaC> They tend to get hot and are a pain to use regularly. [14:17] <Alina-malina> Hello all! I can anyone tell me what is the raspberry pi should i pick to install debian like linux, and run cronjob to connect remote server and do some stuff there get information back analize it and then send to me by e-mail? [14:18] <dreamreal> Alina-malina: any will do. But: http://pidora.ca/ ! [14:18] <steve_rox> what do you desire to do with your rpi? [14:18] <dreamreal> and debian IS linux, same with Fedora. Linux is linux is linux. [14:18] <shiftplusone> Alina-malina, do you need it to connect through wifi or ethernet? [14:21] <Alina-malina> shiftplusone, thank you so much, what about cases? are there any cases? [14:21] <dreamreal> I guess you're using the pi as a low-cost computer? [14:21] <Alina-malina> could you please give me some links so i see what exactly i am loking for? [14:21] <user82> good ot hear! [14:22] <Alina-malina> shiftplusone, thank you so much! if i have questions i will be back soon, first i have to order it now! [14:22] <shiftplusone> Alina-malina, where are you ordering from? [14:23] <Alina-malina> shiftplusone, not sure yet, i guess ebay or aliexoress like webisteS? [14:23] <shiftplusone> Alina-malina, bad idea. What country are you in? [14:24] <Alina-malina> what is RS? [14:25] <Triffid_Hunter> steve_rox: where was it before? [14:29] <shiftplusone> Alina-malina, try here http://raspberrypi.rsdelivers.com/default.aspx?cl=1 or pick the country closest to you from here http://farnell.com/raspberrypi-consumer/approved-retailers.php . Check which one ends up being cheaper when you take postage into account. [14:31] <Alina-malina> shiftplusone, thank you so much!!! [14:32] <knob> Haven't even turned it on yet... eager to do that! [14:33] <shiftplusone> Alina-malina, Your English is good, but if you find Russian easier, feel free to send me a private message and I can try to help out. [14:33] <Alina-malina> shiftplusone, thank you so much! [14:36] <shiftplusone> Alina-malina, wait, the reason I asked where you were ordering from is because most distributors also sell cases. If you scroll down on the RS page I gave you, you can see the ones they have. [14:38] <foobar0> OMXplayer is giving me very distorted audio. I played the same file with mplayer and it works fine. Anyone knows how to fix this? I'm running fully updated Arch Linux ARM with lastest firmware. [14:39] <foobar0> Which version should I downgrade to? [14:39] <shiftplusone> I don't remember whether it's the firmware, omxplayer or both that you need to downgrade and to what version. I'll check. [14:44] <shiftplusone> foobar0, are you compiling manually or getting it from AUR? [14:45] <foobar0> I got it from AUR. [14:45] <Triffid_Hunter> someone want to let me in on the joke, translate pidora from russian? [14:46] <shiftplusone> Triffid_Hunter, sounds close to homophobic slang. [14:46] <foobar0> I see. I'll try that. [14:55] <shiftplusone> user82, tightvnc will do pretty much that. [15:05] <Triffid_Hunter> daveaway: last time I looked into low latency, jack was the go. I tried pulseaudio on my laptop, was dreadful. [15:06] <shiftplusone> You should be able to to just grab the Mentor toolchain and compile whatever you need. [15:10] <shiftplusone> getting audio through USB or an extra chip and gpio? [15:11] <shiftplusone> and this is all without an OS? [15:11] <daveaway> yeah why not? [15:19] <foobar0> shiftplusone: omxplayer from popcornmix's repo works perfectly. Thanks for your help! [15:19] <shiftplusone> yay, I didn't know this myself, so it's good to have it verified. [15:44] <gordonDrogon> it's an intersting project, but I'd much rather see new "shields" being developed specifically for the Pi. [16:12] <Phosie> 2A, supposed to work with the pi. [16:12] <Phosie> It's booted up once, now it wont. [16:12] <IT_Sean> I cannoh do it capt'n! I dohnot have the powah! [16:13] <Phosie> I'm going to say it's my SD card again. [16:13] * gordonDrogon revokes IT_Sean 's license to even think in that accent. [16:14] <gordonDrogon> ye huvnay a cloo. [16:15] <Phosie> I'll reflash the card later and try again. [16:21] <Phosie> Not happy, still going to hope it's the card. [16:26] <larsgk> hi. I am working on a project with the RPi for education in developing countries - based on webapps .. and I am wondering: are there any plans for a slightly faster RPi this year? [16:27] <IT_Sean> There are no plans for a revised raspi model at this time. [16:44] <gordonDrogon> ozzzy, wiringPi is straight ansi C itself. [16:50] <gazzwi86> So I've tried to use an RFID module on my raspberry pi, via an ardunio shield. I can't seem to get it to light the red LED to denote it has detected the RFID tag. Also, the code doesn't seem to get to the loop and hangs after the C++ setup function. Has anyone got any suggestions as to what I should look into to debug? [16:56] <gordonDrogon> ozzzy, nothing too special really. get a copy of the ARP Peripherals manual too to understand how the hardware works. [16:56] <gordonDrogon> *ARM Peripherals manual..
[17:37] <arcanescu> is there any source / place to get hold of the videowall http://www.raspberrypi.org/archives/3648 ? [17:45] <arcanescu> does xinerama work on the PI ? [17:49] <BonaC> Now there will be blood if this doesn't work. [17:59] <BonaC> A bit overboard? [18:05] <BonaC> Damn it IT, making barriers against me and the whole world of knowledge. [18:10] <BonaC> Sending DHCP to it. [18:14] <IT_Sean> what's your boggle? [18:16] <IT_Sean> Oh, right. Sorry... I'm not familair with it, im afraid. [18:16] <BonaC> Progress, could it be? [18:19] <BonaC> It does not want to respond. [18:20] <BonaC> SUCCESS! ... Sort of..
[18:20] <BonaC> Now, off to the living room! [18:20] <BonaC> I hot glued it already, not a chance! [18:21] <steve_rox> hot glued it ? [18:21] <IT_Sean> why would you do such a thing!? [18:21] <Scriven> dipped it in hot glue? [18:21] <IT_Sean> you.... encased it... in hot glue??? [18:21] <IT_Sean> good lord man, WHY!? [18:21] <Scriven> hot clue... excellent typo. [18:22] <BonaC> but, off to the living room, take two. [18:22] <IT_Sean> What happens when you need to change the SD card? [18:28] <IT_Sean> My hot glue gun got left Up North when i moved. [18:28] <IT_Sean> I need to get a new one, i think. [18:29] <IT_Sean> That would involve buying a lighter, though. [18:30] <IT_Sean> but.. fire bad! [18:44] <Grievre> IT_Sean: Money good! [18:49] <Scriven> Grievre, napster bad FTW! [18:49] <relative> A relative of mine cannot boot wheezy on his new pi. He gets "PANIC : UFS :unable to mount fs on unknown block". Is this a symptom that his 2GB SD card is too small? [18:54] <relative> Thanks bsdfox - good to know. He's new to all this, so I'll go through the SD card writing process with him - two heads being better than one. Cheers. [18:56] <relative> perfect - you're a star. [18:59] <HonkeyGenius> does anyone happen to know where the demo files are stored fro pi3d? [19:03] <quackgyver> Brought my Pi with me on a business trip, along with a bunch of electronics. [19:04] <IT_Sean> They've probably seen a few of 'em by now. [19:05] <quackgyver> "Laptop. Razor. Shoe. Jacket. Shoe. Belt. Jacket. Duffel bag. Pi. Jacket. Laptop. Cellphone. Keys. Another Raspberry Pi." [19:05] <quackgyver> Just another day at the airport. [19:06] <IT_Sean> Depends on the airport. [19:06] <IT_Sean> EWR is probably "shoe. jacket. shoe. wallet. laptop. hat. tablet. raspi. baggie of weed. shoe. hat. jacket. shoe. knife. underpants. shoe... "
[19:08] <BonaC> what about the handgrenade in your back pocket? [19:08] <IT_Sean> No, they will stop you for that. [19:09] <Mortvert> is that a knife in your pocket or are you just happy to see me? [19:09] <IT_Sean> Mortvert: it's a knife. [19:12] <HonkeyGenius> doh! i guess you have to download the demos separately. [19:13] <quackgyver> Anyone here from Paris? [19:14] <quackgyver> Wondering if there are any cool electronics store where I could get Pi stuff, now that I'm here for a few days. [19:17] <IT_Sean> quackgyver: define "raspi stuff"
[19:17] <quackgyver> Oh you know, just whatever. Fun bargain stuff. [19:18] <quackgyver> Peripherals and hardware, I guess. [19:18] <IT_Sean> any electronics reseller. [19:18] <quackgyver> ant_thomas: Good idea. [19:19] <quackgyver> I wonder if I can find stuff that is expensive in my home country, like maybe displays. [19:19] <quackgyver> Speaking of which, I just got my monitor from china - an unbranded car one. [19:20] <quackgyver> I'll probably order a couple more. They'll work perfectly for making fun devices. [19:21] <IT_Sean> quackgyver: what is it... 12v? [19:21] <quackgyver> IT_Sean: I think so, yeah. Might be 5-9v, if that's possible? [19:21] <bsdfox\> linkxs, is that website running on a pi router or different router? [19:21] <quackgyver> I'm not big on electronics so I can't remember. [19:22] <quackgyver> You think there are displays that can be powered via USB? [19:22] <quackgyver> Right now I've got the car monitor hooked up to a wireless charging batty. [19:22] <IT_Sean> There are USB LCDs, but, the raspi won't be able to power them directly. [19:23] <quackgyver> IT_Sean: Well, I wouldn't mind powering it through a hub. [19:23] <quackgyver> If I'm building a device, the power's gotta come from somewhere anyway, and the user won't be able to tell whether it's going straight into the Pi or something else. [19:23] <quackgyver> IT_Sean: How do you mean? [19:23] <quackgyver> For the Pi? [19:24] <IT_Sean> quackgyver: All of the USB powered LCD displays i have seen get the picture data via USB as well. [19:24] <quackgyver> IT_Sean: Oh, I see. [19:25] <IT_Sean> That said... I am sure there are small LCDs that can be powered w/ 5v. [19:25] <IT_Sean> But, again... drawing off the raspi may not be possible. [19:30] <quackgyver> One thing I'd like to know is what happens if you connect a USB hub to a power source via USB, and then connect it to the Pi. Will the Pi also connect to whatever else is hooked into the HUB? [19:31] <quackgyver> Since the Pi can be powered from both the Micro USB slot and the regular one. [19:31] <quackgyver> But I'll give it a read anyway. [19:33] <myself> user82: what filesystem was the card? Look into the various crashed-hard-drive recovery software. [19:34] <pksato> first, make a image of partition or disk. [19:34] <myself> yeah, good call on the image. [19:34] <myself> hard drive space is cheap. copy the whole card before doing more. [19:34] <pksato> next, try photorec or testdisk against image. [19:34] <user82> maybe i could split it into blocks. grep for it. and then open once small enough so the text editor does not crash? [19:35] <user82> just the c file is important..the rest is re installed from scratch in 30min. [19:36] <bsdfox\> user82, if you attempted a repair have you looked in /lost+found ? [20:04] <gordonDrogon> you can vector interrupts from the pins to a user program relatively easilly. [20:05] <knob> Hey guys... question: I'd like to use a rPi hooked up to a LCD, to display various stats. The stats, the easiest way would be for me to create a webpage. Does anybody have any links of somebody that's done/tried this? [20:06] <gordonDrogon> do you mean a standard LCD display - like VGA/HDMI? [20:06] <gordonDrogon> I've seen a few - not that hard. [20:06] <gordonDrogon> depends on how much webby stuff you know, I guess. [20:06] <knob> gordonDrogon, Ok. It's that I got my 1st rPi yesterday in the mail, and I still haven't been able to play with it. [20:06] <BonaC> bsd: I usually don't need to access the DHCP anyway. I even forgot I had that configured. [20:07] <knob> Well, if I can open up a web-browser on it, I'll be good to go. [20:07] <gordonDrogon> knob, you can open a browser - slowly, and run a web server on it too. [20:07] <bsdfox\> knob, oh are you at the console and want to get into X? [20:08] <gordonDrogon> flash won't run on the Pi. Well, not very well. [20:08] <knob> bsdfox\, well, haven't even powered it up yet. It's sitting on my desk. [20:09] <knob> bsdfox\, question about your name: Does anybody run any of the *bsd variants in an rPi? [20:11] <bsdfox\> most of his work on it is stored under a project called "crochet"
[20:14] <steve_rox> anything interesting going on? [20:49] <wolfram74> what's the difference between address, net mask and gateway? [20:49] <IT_Sean> one's an address, one's a netmask, and one's a gateway address. [20:52] <wolfram74> so, i'm guessing that address is the IP address given to my router? [20:57] <gordonDrogon> what did it give you (as a dotted decimal - really, no-one uses hex for IPv4!) when it was using dhcp ? [20:58] <wolfram74> how would i look that up? [20:59] <gordonDrogon> you need to make sure you pick an IP address outside the range the router will assign - else something else might come along, ask the router for an IP address and get the same one you're using on the Pi - which would not be a good thing. [20:59] <gordonDrogon> HonkeyGenius, it depends on the router - unless you know more about wolfram74's setup? [21:00] <gordonDrogon> that's ok. now see if you can find the dhcp range. [21:01] <gordonDrogon> then you have 101-254 for your own statically assigned devices. [21:01] <HonkeyGenius> i usually use .187 because dr dre would. [21:02] <gordonDrogon> e.g. my dhcp range goes from .10 through .29, so I have 1-9 and 30-254 as static IP addresses I can use. [21:02] <gordonDrogon> what's dr dre ? [21:03] <HonkeyGenius> well it may be for the best then. unless you like old-school rap music. [21:04] <Phosie> and overpriced headphones. [21:05] <Phosie> Hmm... I need more SD cards. [21:05] <gordonDrogon> trying different distros? [21:08] <Phosie> I do intend on trying Arch at some point. [21:17] <gordonDrogon> can the Pi ping 10.0.0.1 ? [21:19] <steve_rox> errr well done ;-) ? [21:33] <steve_rox> how ya crash that? [21:34] <BonaC> By not properly adding addons? [21:36] <IT_Sean> What brand is it? [21:37] <wolfram74> gordonDrogon: you still about? [21:38] <BonaC> Meh, not a good idea. [21:39] <Scriven> clarity is key. [21:40] <IT_Sean> BonaC: Please do mind the language & conduct policy in place in this channel. [21:40] <steve_rox> what make is it? [21:40] <Scriven> am fscking it, can't tell right now. [21:41] <Scriven> yes! not swearing. [21:41] <IT_Sean> I assumed you meant it as such. [21:42] <IT_Sean> fsck = file system check. [21:42] <Scriven> yeah, have noticed that too. We'll see what happens this time. [21:42] <IT_Sean> Have you looked betwix the sofa cushions? [21:43] <BonaC> Since I've done a "cp * ../.xbmc/addons"
[21:43] <IT_Sean> I always find my keys down in there. [21:43] <BonaC> Wear jeans with bigger pockets, problem solved. To me it did, at the very least. [21:45] <Scriven> Bah. Raspbian still hangs w/ the little logo in the corner, and no cursor. [21:46] <steve_rox> you not overclocking are ya or bad psu? [21:46] <Scriven> PSU should be OK, did just try medium OC, will hold shift on boot and see if that fixes. [21:47] <IT_Sean> 5v at around 1A? [21:48] <Scriven> 5V w/ 5A available. Using a Castle Creations CCBEC (Remote Control Vehicle terminology for a voltage regulator) to downvolt the 2S lipo to 5V. [21:48] <Scriven> fsck says all partitions are good, will see what happens with shift held down. [21:50] <Scriven> Bah, holding down shifts did nothing. This is actually starting to make me angry, how readily the pi seems to eat SD cards. [21:50] <bsdfox\> Scriven, what distro are you using? [21:52] <Scriven> bsdfox\, raspbian, updated. [21:52] <Scriven> power isn't low, have checker plugged into balance port, all is green, and the bats were just recharged this AM. [21:53] <Scriven> putting out 5.1V as measured on adapter to micro-usb. [21:53] <IT_Sean> What's the voltage metered at TP1 / TP2 ? [21:53] <Scriven> The pi is cased, making that measurement a pita. [21:55] <Scriven> ok, which is +, tp1 | 2? [21:58] <Scriven> I'm quite familiar with the use of the multimeter, thanks. [21:59] <Scriven> So is 4.94 good, or should I crank the output of the VR to 5.2v? [21:59] <steve_rox> what you using to convert the voltage down? [21:59] <Scriven> 5V w/ 5A available. Using a Castle Creations CCBEC (Remote Control Vehicle terminology for a voltage regulator) to downvolt the 2S lipo to 5V. [21:59] <steve_rox> one them regulators that wastes power? [22:00] <Scriven> not a resistor-based one, no. [22:00] <Scriven> I'd nuke stuff if I did that w/ mine. [22:03] <Scriven> TP1 is positive, BTW. [22:03] <Scriven> 4.97V now. Tried taking out the overclock 'stuff' from config.txt and rebooting, but still no dice. [22:04] <IT_Sean> THat's not too hard. [22:04] <Scriven> Mortvert, Did that just now, nothing plugged in but monitor, power, sd. [22:04] <Scriven> that's probably where the extra .2V came from. [22:05] <Mortvert> got a phone charger with mini-usb? [22:06] <Scriven> nope... er, maybe. [22:06] <IT_Sean> The raspi uses micro-usb, actually. [22:07] <Scriven> i knew what he meant. And yes, stole my wife's stupid-phone charger. [22:10] <IT_Sean> TP 1/ 2 say 5.13? [22:10] <IT_Sean> That's a hair high, but, within spec, and within the error range of the meter, so... lets call it good. [22:10] <Scriven> hrm, 5.04 vs 4.95.... not sure I like that. [22:13] <Scriven> I really like the metal cases on ebay, where the case is the heat-sink. [22:13] <Scriven> but can't justify the $70 for them. [22:13] <IT_Sean> Scriven: $70 for something you don't actually need and would not really be that effective anyway is a bit steep. [22:14] <gxx> will an sandisk ultra sdhc card [16GB] [30MB/s] work? [22:16] <gxx> also whats the faster read/write that the pi can handle? [22:19] <gordonDrogon> I put mine in boxes or the skpang frame + breadboard things. [22:20] <shiftplusone> Ben64, it is for me. [22:20] <Scriven> shiftplusone, shipped to which country? [22:21] <Scriven> OK, another card ready to go. [22:21] <shiftplusone> hm. Is it newark over there? [22:21] <Scriven> only 8GB this time. [22:22] <Scriven> This time a Retail Plus 8GB SDHC class 10. [22:23] <IT_Sean> What part of Canukistan, Scriven? [22:23] <Scriven> Lower mainland, AKA Vancouver-area currently, but I grew up in Ontario, near Toronto. [22:24] <IT_Sean> Ah, that's okay then. [22:24] * shiftplusone wonders what the wrong answer was. [22:25] <IT_Sean> shiftplusone: There is no wrong answer... I just enjoy screwing with Canada. [22:25] <myself> IT_Sean: I think I've seen that sign, it says "Canadians could you go home now please? Thanks so much." [22:26] <IT_Sean> Or, as Robin Williams once put it, "A loft apartment over a really great party"
[22:26] <Scriven> IT_Sean, We prefer to think of America as our silly pants. [22:27] <IT_Sean> "We are the Canadian borg. Please wait to be assimilated. Resistance would be impolite. Pour l'assimilation en francais, presse sur "2""
[22:28] <Scriven> IT_Sean, Ah, you've been here! [22:28] <IT_Sean> Scriven: I THINK so. [22:29] * Scriven laughed at the "Why a Canadian Sniper would fail" cartoon on FB a few months ago. [22:29] <Scriven> the punchline of course was that he yelled 'sorry' after he shot someone from the treeline. [22:30] <IT_Sean> Scriven: I THINK i've been there. I have about $45 CDN tucked away, but no memory of ever going there. [22:30] <IT_Sean> So, i must have had a properly good time. [22:31] <myself> Hehe. I lived in Mississaugs for a few months for work, and consider the GTA my second home. Love it, would go back in a heartbeat. [22:31] <Scriven> See, it's THAT strong! [22:33] <hanshans> hi all! i planned to order a piface and a temperature sensor. can i connect the sensor and resistor directly to piface using single conductors or do i need something like the "gertboard"? [22:37] <gordonDrogon> piface has no analog input. [22:37] <gordonDrogon> gertboard has analog input. [22:37] <myself> Oh, I liked Mississauga. I was 15 minutes from Hacklab, 4 minutes from some pretty-okay sushi, 8 minutes from amazing sushi, and had a grocery store within walking distance. [22:37] <wroberts1> which sensor? DS18B20? [22:37] <gordonDrogon> Pi can read 1-wire temp. sensors directly though. [22:38] <Scriven> myself, I don't drive only take public transit or cycle sometimes, so I found mississauga terrible. I used to work way out near the airport, but lived near the Beaches in Toronto. [22:38] <myself> Ooh. Yeah, that would be awful. I'm from Detroit so I consider a car to more necessary than oxygen..
[22:39] <Scriven> lol. It was awful on weekdays, I had to work on a Sunday once, THAT was laughable... one bus up a main road every 90 minutes... and the bus on the main-road feeder route was designed to miss the connection by 2 minutes. [22:40] <myself> Heh. I rode a bus once or twice for field-trips in school. And I took a Greyhound once. [22:41] <Scriven> Bah, I'd forgotten how long this install takes, have to leave in 15 minutes to get kid from school... can't leave the system on battery. [22:41] <Scriven> myself, I grew up in the country, took the school bus every day, 45 minutes each way, every day for 14 years of school (back in the days when we still had Grade 13). [22:42] <Scriven> I don't mind the buses in the UK actually. Dunno why, but when I visit over there the buses just seem so much more intelligently planned and run than they are over here. 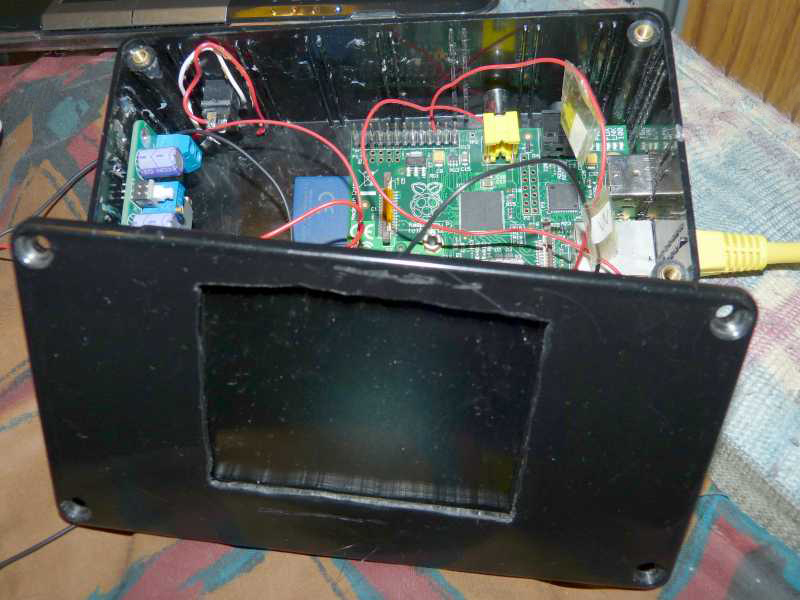 [22:43] <IT_Sean> hmm... a model B raspi in a case. [22:43] * SpeedEvil needs a legally operable car. [22:44] <IT_Sean> SpeedEvil: Only if you intend to get stopped by the police. [22:44] <Scriven> Wow Encrypt, so neat! [22:44] <SpeedEvil> IT_Sean: well, yes. [22:44] <IT_Sean> It is a very zen setup. [22:45] <IT_Sean> My pi is still nekked. [22:45] <SpeedEvil> IT_Sean: In principle, it is very easy for them to do a paper excercise - and correlate vehicles insured with insurees who do not have licences. [22:45] <IT_Sean> Why is your vehicle not legally operable? [22:45] <Encrypt> Scriven, The aquarium? [22:45] <SpeedEvil> IT_Sean: No licence. I get extremely tired halfway through the test, due to chronic fatigue. [22:46] <Scriven> Encrypt, just a poor joke about how I have no empty space left at my house, what with the 4 of us (2 adults 2 kids) and all our 'junk'. [22:49] <Scriven> ok, bbiab after getting child from school. [22:57] <undecim> I just ordered my raspi, and I want to get a small and cheat battery backup for it. An external USB battery pack should work (as long as it can simultaneously charge and output power). Anyone have a recommendation? [22:59] <undecim> What was your solution? [23:00] <SpeedEvil> 2*110Ah 12V batteries on a APC UPS, with a 5V converter hanging off them. [23:00] <SpeedEvil> It would power the Pi for around a month. [23:01] <undecim> Only a month? [23:01] <SpeedEvil> undecim: Well, assuming I don't hook up the solar panels. [23:01] <SpeedEvil> Then it will basically go for around 10 years till the batteries die. [23:02] <undecim> I want something small. if I could fit it in an altoids tin and set it under the Pi, that would be awesome. There's a lot of phone chargers with that profile, but I can't tell if they can charge and output simultaneously. [23:27] <Phosie> tkinter.TclError: couldn't connect to display ":0.0"
[23:33] <wolfram74> does ifconfig actually give the devices IP address if it's hooked up to a wireless router? [23:34] <wolfram74> that one gave me "no wireless extensions"
[23:47] <gordonDrogon> SpeedEvil, sure it would power it for a month? Did you go 12 -> 230 -> 5v ? [23:48] <Encrypt> For a month !?! [23:49] <undecim> Would a pair of 1inx1in heat sinks be too big to put on the CPU and Ethernet chips? [23:53] <Encrypt> How are you using it? [23:55] <undecim> why not put the heat sinks on it?